Decorating side-by-side town homes in Newton for two clients with different tastes. The older sister’s town home. 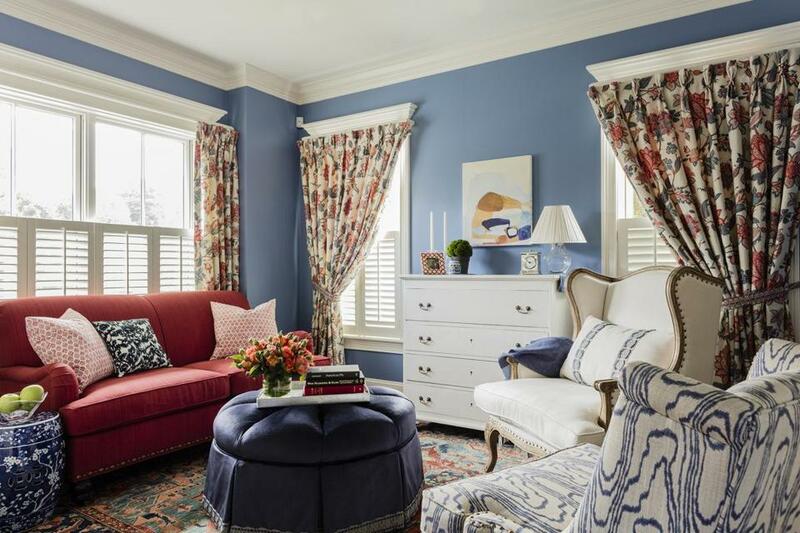 Natick-based designer Laurie Gorelick completed a unique project last year: She decorated side-by-side town homes for sisters with very different tastes. The floor plans of the four-bedroom homes in Newton’s Auburndale village mirror each other, but the younger sibling was looking for a contemporary vibe, while her sister preferred a more traditional look. 1. In the older sister’s living room, a custom velvet ottoman serves as a coffee table, footrest, or extra seating for guests. Its round shape allows for easy traffic flow. 2. The Oriental rug is a family heirloom. “This sister likes saturated colors,” Gorelick says. 3. The raspberry-colored sofa with subtle ombre weave has a traditional feel with its tight back and English arms. 4. Drapes in a floral toile print are hung lower to showcase the window’s cornices. 5. Wing chairs, one in natural linen, the other in a beige and blue print fabric from Kelly Wearstler, offer additional comfortable seating. The younger sister’s town home. 6. 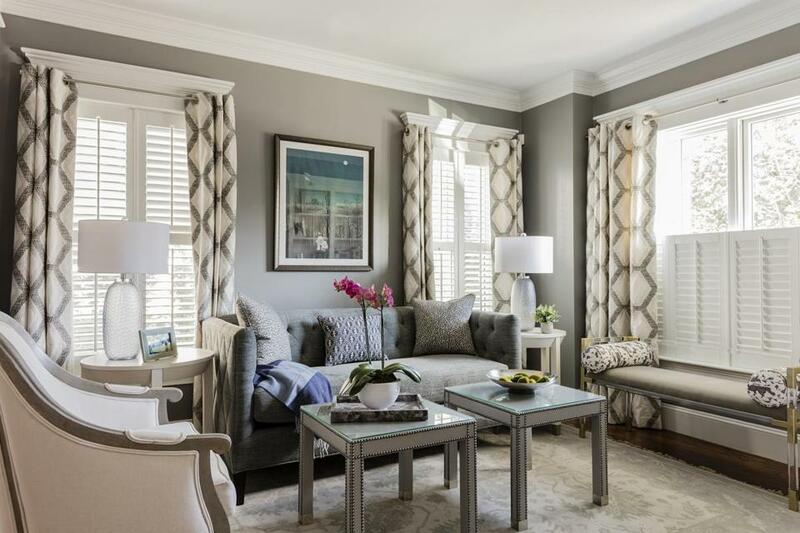 Fitted with modern grommets, window treatments in the younger sister’s living room feature a diamond pattern, echoed on the sofa’s sides and in one of the throw pillows. 7. The tufted-back sofa has a mid-century feel — its grayish-blue tweed fabric adds texture and warmth. 8. Twin Parsons-style cocktail tables are wrapped in a gray textured faux leather and have clear glass tops. 9. A Lucite and brass Jonathan Adler bench is perhaps the room’s most modern piece. 10. The French bergere-style chair has a distressed wood frame with a casual vibe.